How do I get to the Ginger Factory? Just 60 minutes North of Brisbane airport. Follow the Bruce Highway (M1) to the Yandina/Coolum exit and follow the signs. How much is entry to the Ginger Factory? Admission to the grounds is free. Prices apply for tours and rides and can be purchased on arrival or online. We offer adults, children and senior’s prices. Group prices apply for groups of 15 or more. When is the Ginger Factory open? 9am – 5pm daily, except for Christmas day, December 25 each year. Can we bring a picnic to the Ginger Factory? No, however our Ginger Café caters for a variety of meal periods and can also cater for specific dietary requirements if we are advised in advance. We do have vegetarian and gluten free meals as standard offer from our menu. Is the Ginger Factory licensed? Yes we are – beverage selections are available from our Ginger Café. We do not permit alcohol to be brought onto the premises. Is the Ginger Factory accessible? Yes we are. The only attraction that isn’t is our overboard boat ride. We have two wheelchairs on site and you just need to show your personal id to loan one of these. Does the Ginger Factory have strollers available? Unfortunately we do not have strollers available on site however we can store these for you. What money facilities does the Ginger Factory have on site? Do you sell ginger plants? We sure do! We sell selected ginger plants on site however ginger is a deciduous plant and is dormant in winter so we are not able to sell the plants during this time. Can you buy ginger products online? Buderim Ginger products are available online and via mail order. Click here to purchase online. Does the Ginger Factory cater for groups? Yes, click here for further information about having your group here. 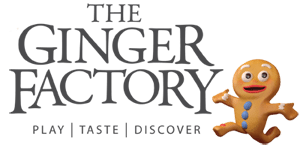 Does the Ginger Factory cater for birthday parties? Yes, click here for further information about having a wonderful birthday party here. If you have any other questions please don’t hesitate to contact one of our friendly team and we look forward to welcoming you. Where can I park at the Ginger Factory? There is ample off street parking available.